Journaling only takes about 5 to 10 minutes a day, yet many people find the effort too strenuous. But that’s because they aren’t aware of the benefits the practice has to offer them. 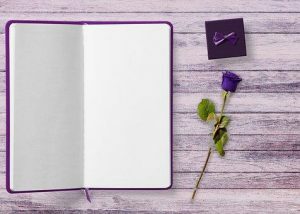 A gratitude journal for seniors may even be more potent than it is for younger folk, as their acquired wisdom will allow them to reflect in a deeper way. As you get ready to hit the pillow and call it a day, you might notice how your mind recalls some of the day’s events. What it’s trying to do is internalize and integrate your experiences. One way to enhance the process is by putting your grateful moments on paper. Over time, this will help you literally feel like your experiences of gratitude are a part of you. So don’t be surprised if your outlook becomes more positive and grateful. You’ll also notice gratitude moments more naturally, as you prime your brain to find them. As you can see, with persistence, this simple routine has the potential to change your whole personality. Your thoughts directly influence your mood and feelings. When your mind notices the good and dwells in the experience, your emotions follow suit. Simply put, if you want to have positive emotions and be in a good mood, shift your focus in that direction. What a better way to do this than by making a point of noticing things you are grateful for in your life? This isn’t about avoiding experiences you’re less than thrilled about. Acknowledge them too. If you don’t, they may keep you busy until you give them their due attention. But think about exploring a lousy experience like a visit to the doctor’s office. Dealing with it important. It may even be pleasant. The doctor might be a great guy too. But where would like to spend your free time? At the physician or with your family or friends at Delmar Nursing and Rehabilitation? Enough said. Getting rid of symptoms can be healing but gratitude will build up your account of positive emotional currency. Now can you afford not to spend 5 to 10 minutes on your gratitude journal?